OCTOBER 12, 2018 – 1:45 a.m. Very clear night, sky full of stars- normally never such high visibility. I was watching regular air traffic fly in and out of MCO located just southeast of the city. I live on the 20th floor of a high-rise overlooking Lake Eola to the east. A light appeared from high in the sky, not a point source like that resembles a star, this was almost an omni light source and it was a hazy white blue in color. The blur of light quickly sped across the entire horizon in a matter of 7-10 seconds. It had to be traveling thousands of miles an hour. At first, I thought it might be a shooting star, but it moved with intelligence banking and changing direction as if it were piloted. 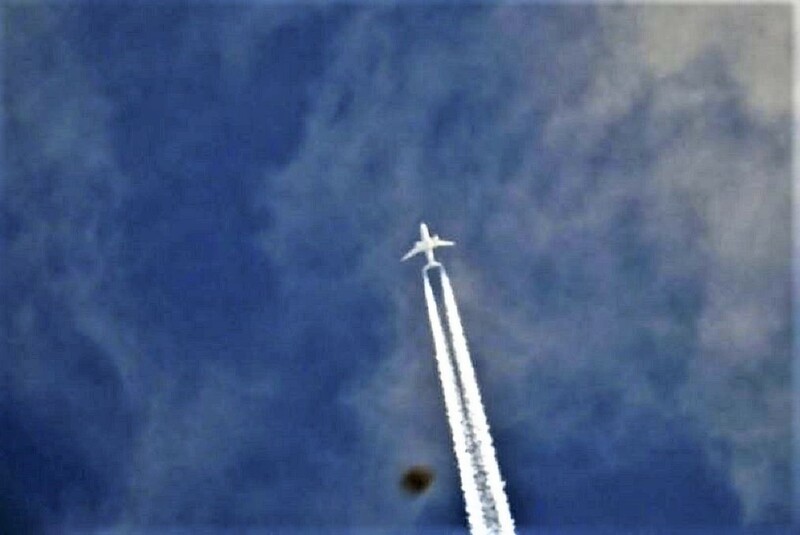 As it disappeared from view, I returned my gaze to the area where it originated now to see a gigantic craft high in the atmosphere. This shape appeared to be an extruded triangle in shape with seven points of light on all its sides and a dim red light at its corners. The shape maneuvered briefly in the sky as so I could tell it was a dimensional object and not a field of lights or flares. This shape slowly dissipated into the sky within a matter of seconds, it had completely disappeared. I ran inside to grab my iphone to document anything further. Upon returning, I looked up directly above my building to see a black triangle zooming by overhead. This craft was close enough that I could see its whole shape as it rotated and spun with dull lights on each edge of the craft. The object then banked towards where the larger ship was earlier, and to my astonishment- it reappeared for a matter of seconds as this smaller craft flew in its direction. But again within a matter of seconds, everything seemed to slowly shift away into nothing. NOTE: The above image is CGI. The sighting of a strange triangular shaped object over Geneva has once again opened the debate on the existence of UFOs. The inexplicable appearance of a flying saucer as big as a plane was observed by hundreds of people in Geneva. It led to speculation about the craft being from some alien civilization. 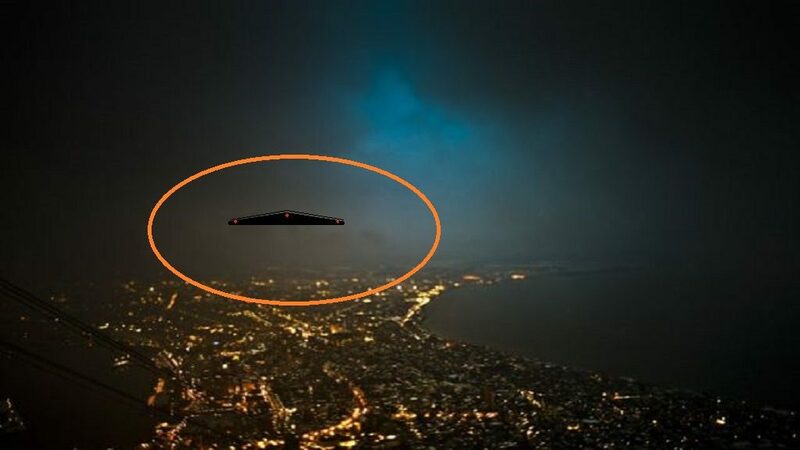 The craft was seen hovering in the black skies over the La Praille area of Geneva just near a stadium and was witnessed by hundreds of excited onlookers. Many watchers quickly took pictures and uploaded it to social media sites like Twitter and Facebook. The strange object hovered over the night skies for about 20 seconds before it sped away and was soon out of sight. Many described it as oval shaped and flat-topped and glowed brightly in the heavens. The incident happened at 8.30 pm on Wednesday, October 12, 2016. 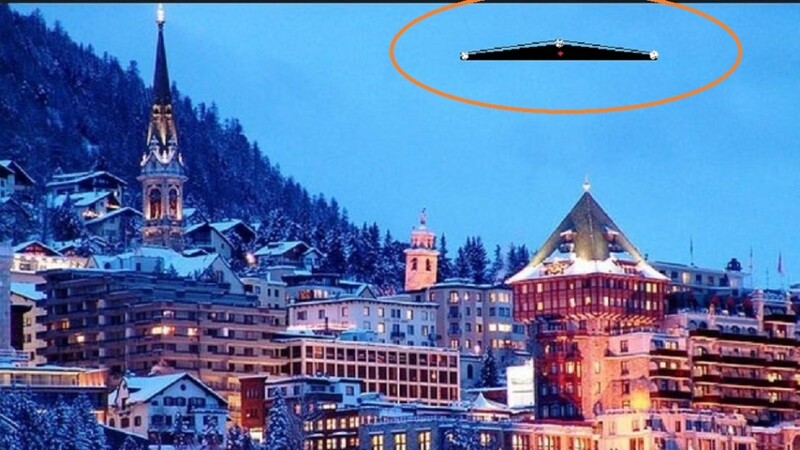 The incident was reported by Matías Vitkieviez, a Servette FC footballer who wrote on his FB post that the UFO was flying over the industrial area behind the stage of La Praille. Another witness described it as a huge circle which was as big as a plane. It was also sending out a shrill whistle like noise. The witness continues and said that the scene lasted for about 20 seconds before the object departed. 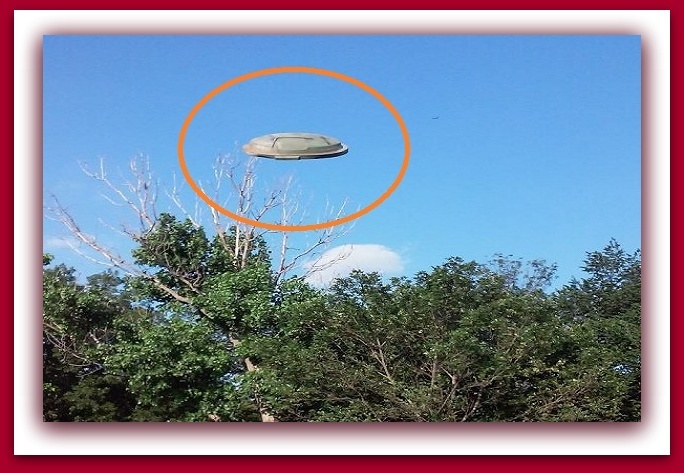 The object was not clearly visible on the pictures but was clearly visible to the onlookers. It was shaped like an oval and flattened object with three lights before it disappeared. The control tower at Geneva International Airport, however, said in a statement that it did now find anything suspicious on its surveillance radar between 8.30 PM and Midnight. It bought a string of angry responses by onlookers on the social media. Experts said that it was not a drone because it was too big to be mistaken for a drone. The lights were also glowing in different colors and not like the lights usually flashing on drones and aircraft. NOTE: The above image is CGI.